Moving naturally – what does it mean? It is not quite a simple question as it seems. According to MedlinePlus, we live in a society where back pain is one of the most common medical problems, affecting 8 out of 10 people at some point during their lives. Ironically, dealing with a back pain is also a huge industry in the United States. We are quick to blame lack of time and stressful lifestyle for our inability to exercise. The sad truth is WE DO NOT NEED TO BE FUNCTIONAL TO SURVIVE. This is the worst side effect of civilization. People live longer but how many are functional at the old age? Our environment does not provide stimulus for a healthy musculoskeletal system. Personally, I am NOT looking forward to a wheelchair or living in a nursing home. However most of people accept the equation: old age = disability. It does NOT have to be. The body needs to move the way it designed. Otherwise, it breaks down. The loss of healthy upright posture is the most visible effect of aging, not graying hair or wrinkles. My mission is to make people aware of it. The sooner you start addressing your postural deviations, the healthier you will be in a long run. Upright Posture = Health + Function + Quality of Life at Any Age. The funny thing is that we really do not need back braces and fancy ergonomic chairs for back pain relief. Those contraptions cannot fix your back pain, but you can. It is easier than you think. Move whenever you can, move BEFORE you lose function. It DOES MATTER HOW you move. Do not rely on workout machines. They are not a solution to sedentary lifestyle and long hours in front of the computers. How to restore the moving naturally skills? EGOSCUE METHOD. Pete Egoscue. Pain Free. A Revolutionary Method for Stopping Chronic Pain. Paul D’Arezzo, M.D. Posture Alignment. The Missing Link in Health and Fitness. GOKHALE METHOD. Esther Gokhale. 8-steps to a Pain-Free Back.  Lisa Ann McCall. Simple Concepts for Ageless Movement – the McCall Body Balance method.  Kathleen Porter, the director of the Center for Natural Alignment in Portland, Oregon. Natural Posture for Pain-Free Living. The Practice of Mindful Alignment. CONNECT with nature. Even in urban environment you can find parks and wooded areas. Fresh air, trees, water, and sun have a tremendous effect on our health. 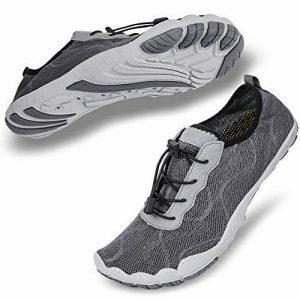 SWITCH to barefoot shoes to go for a walk. Walk barefoot where you don’t need shoes. Incorporate brisk walking or short distance runs. Jump to touch lower tree branches. Bend to pick up interesting looking rocks, or look at the flowers. Although, you better first learn HOW to bend properly: Esther Gokhale. 8-steps to a Pain-Free Back. Swim in the lakes or ocean instead of a swimming pool. SIGN UP for a dance class. Dancing serves many purposes: makes you move, improves your posture, provides social interactions, and lifts your mood. INVEST into Gokhale Method Foundation Course. This training will teach you how to position your body properly 24/7, even when you sleep. I thought the course was very helpful, informative and mind-opening. It will improve your kinesthetic awareness and will change the way you feel inside your body. LOOK UP a posture alignment specialist near you. 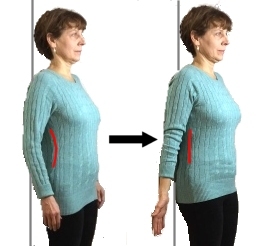 It will jump start your posture improvement by addressing your specific postural deviations. If you restore skills of moving naturally, the way your body was designed, you will see and feel practical results. Thank you very much for including my book in your blog post.